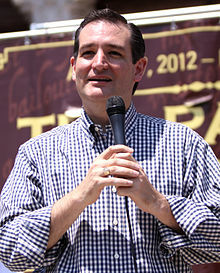 Texas Senator Elect Ted Cruz has taken the nation by storm. Ted Cruz has proven that you can be a non-compromising super conservative and still be elected in America. Cruz has proven that grassroots campaigns with no establishment backing can still win elections. Cruz has proven that the Tea Party is not dead. Cruz has proven that Hispanics are conservative and are welcomed in the Republican Party. It is hard to prove to Hispanics that the Republican Party is the Party for them because the Liberal Democrats have brainwashed many Conservative Hispanics into believing that Republicans are against them. Having another very conservative, Hispanic Leader like Ted Cruz in the Republican Party will help draw Hispanics to the Republican Party and prove that Republican values and Conservative Hispanic Values are one in the same. America sees how great of a leader Ted Cruz can be in the Republican Party, and they have wasted no time in selecting Cruz to a top position in the United States Senate. WASHINGTON, DC -- U.S. Sen-elect Ted Cruz (TX) responded to being named vice chairman of the National Republican Senatorial Committee (NRSC). Cruz and co-vice chairman U.S. Sen. Rob Portman (OH) will serve under chairman and U.S. Sen. Jerry Moran (KS). "I'm honored by this selection," Cruz said. "Our country faces grave fiscal and economic challenges, and I'm very glad to have the opportunity to do everything I can to help retire Harry Reid as Majority Leader. It's critical that Constitutional conservatives have a strong voice within the NRSC so that together we may build upon lessons learned from this election cycle and elect strong candidates who are committed to pro-growth economics and restraining the job-killing growth of the federal government."